On Sunday, the veterans for the Buffalo Bills reported to training camp. The players faced questions regarding the team’s future that has once again been predicted on Bovada, topbet and other online bookmakers to be in the bottom third of the NFL. The team started its training camp minus Marcell Dareus the talented defensive tackle, who on Saturday was put on the active/non-football injury list. There is also a big question about the ownership of the club as potential owners are jockeying trying to take ownership following Ralph Wilson’s death during the offseason. Buffalo is the first NFL team to have its veterans report to camp and they know there is plenty of work needed to be done. Predictions and naysayers are something that is not new for the team. One veteran said that the same thing happens each season everyone is hyped up for a great season and then fans are let down with a 6-10 season or worse. He said he and his teammates are tired of that happening each season and they intend not to let it take place again this season. However, betonline and sportsbook.com see things different, both have the Bills ranked as the 27th team amongst the 32 teams in the NFL. Dareus could be an important factor in the Bills turnaround or a season of more of the same – disappointment. During the offseason, Dareus was arrested on two occasions. May 5 his first arrest was on felony charges that involved drugs. His personal problems could hurt the team’s defense. Buffalo will also open camp minus Kiko Alonzo at linebacker, who tore up his knee during workouts this summer. Leodis McKelvin, one of the team’s cornerbacks was amongst players on Sunday to be but on the active list after having hip surgery during the offseason. Mike Williams a wide receiver picked up Tampa Bay is also coming off a hamstring injury. The biggest worry though is management and coaches are losing their patience with Dareus. Dareus failed a conditioning test in pre-training camp and Doug Whaley the team’s general manager said the situation with Dareus was cause for much concern. Nevertheless, Whaley thinks Dareus is not far from being fit and expressed confidence over the two arrests for reckless driving and drug possession during May. Head Coach Doug Marrone starting his second season did not comment on his defensive tackle. Dareus was not at Sunday’s practice and was not seen at the facility where training camp is being held. 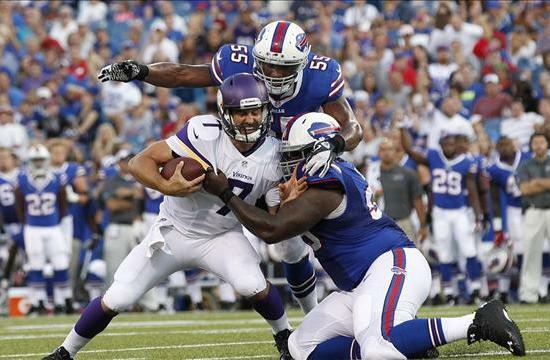 Dareus could be disciplined by the NFL for his troubles off field with a suspension or fine. The talented tackle’s trouble goes back to last season when Marrone benched him for the last two games of the season for not following team rules. E.J. Manuel will face a stern test in the Cleveland defense tonight. Tonight the football gods offer us three good college match-ups and the NFL brings us a surprisingly good game between the Browns and Bills. Take a look and see if you find these enticing. Buffalo (+3) at Cleveland – Wasn’t it just a few weeks ago that the Cleveland Browns traded their best player in Trent Richardson? At the time, they were 0-2 and appeared to be stock-piling picks for the 2014 NFL Draft. All of the sudden, the Browns are 2-2 and went into Minnesota for a win and then beat Cincinnati in Cleveland behind third-string QB Brian Hoyer. Buffalo is also 2-2 after knocking off Super Bowl champion Baltimore last week in Western New York. The Bills are riding the second best rushing attack in the league and an opportunistic defense that forces turnovers rather than cut down yards. The defense ranks near the bottom against the run and pass but when you’re getting turnovers it really doesn’t matter. The Browns are completely opposite of the Bills as they are getting things done in the air and are in the top ten defensively against both the run and pass. Cleveland is 2-5 in their last seven games against the spread while the Bills are 1-4 in their last five road games ATS. Despite the Bills getting three points, I like the Browns behind their defense. Texas (-8.5) at Iowa State – The Longhorns will once again be without quarterback David Ash who is out with an injury. At 2-2, Texas has to win games such as this one if they want to keep any BCS dreams alive tiny as they may be. The defense was a little better in last week’s win over K-State but it is going to be an issue all season. The Cyclones surprised me last week by roughing up Tulsa by 17 points on their own field. I really expected that game to have been much closer. ISU has struggled to replace some really good talent on the offensive line and at linebacker but they seem to be making decent progress. The Horns enter at 1-4 in their last five road games against the spread while Iowa State is 1-7 in their last right games at Jack Trice Stadium. I expect this game to be played into the high twenties at minimum but I do like Texas to cover. Bobby Petrino already has the Hilltoppers looking like his kind of team in year one. Western Kentucky (-7) at Louisiana Monroe – I have to admit I thought this spread would be significantly higher because ULM has been pretty bad defensively and not much better offensively. They’ve been embarrassed by Oklahoma, Baylor and Tulane with all three winning by at least 17 points or more. WKU under Bobby Petrino is 3-2 on the year and has solid wins over Navy and in the opener against Kentucky. I wouldn’t call the offense ‘Petrino-like’ just yet but the Hilltoppers are getting there by running the ball first and foremost. The WarHawks are 1-6 in their last seven against the spread and I just see too much WKU in this one. Take them to cover. UCLA (-6) at Utah – While their rivals across town make all sorts of news, the Bruins have quietly jumped out to a 3-0 record behind the nation’s third-best scoring offense. UCLA is averaging over 52 points per game in wins over Nevada, Nebraska and New Mexico State. They are doing it with a really nice balance of running and passing with each ranking in the top 15 in the country. Utah enters off a huge win over rival BYU and stands just an overtime loss against Oregon State from being 4-0. Although not as potent, the Utes have also had great balance with their offense ranking in the top 30 in running and passing. If you are interested in a good number then look at the over which stands at 57.5. I would take the over and run in this game and I’m also going with the Bruins to cover. Pryor, now #2, may get the starting nod for the Raiders in the season opener. The third week of the National Football League preseason is in the books and what that essentially means is that most of the game’s top players and starters will not be seen again until week one of the regular season. Week four of the preseason is nothing more than a final opportunity for those guys who are battling for final roster spots. That doesn’t mean I can’t focus on some of the major questions facing quarterbacks as the preseason comes to an end (thankfully). Quarterback Issues in Oakland, New York and Buffalo – Quarterback controversies in the preseason are as common as a laugh at Rex Ryan press conference. What do you know? That’s what we have in this case as the Jets are facing a serious issue at quarterback. Ryan inserted Mark Sanchez into the game this past weekend in the fourth quarter only for him to get hurt. It was a foolish and reckless decision by Ryan who will not be the head coach of this team next year barring a miracle. Sanchez’ competition is rookie Geno Smith who was rushed back from an ankle sprain. All Smith did was throw three interceptions in the first half against the Giants. In doing so, he basically handed the job to Sanchez. If you told me Ryan was ‘forced’ to put Sanchez in late in the game, I wouldn’t disagree with you. Manuel played well enough to be named the starter but will he be ready for week one? In Buffalo, E.J. Manuel has been on the shelf for two weeks following a minor knee surgery. That was thought to give veteran Kevin Kolb a line on the starting job. Well, not so much. Kolb suffered a concussion on Saturday against Washington and reports are surfacing that this could be a much more serious head injury than previously thought. With only rookie Jeff Tuel remaining, the Bills signed Matt Leinart and picked up Thad Lewis in a trade with Detroit. There is no guarantee that Manuel will be ready for the opener so what was once so promising a start for these Bills may be yet another troubling season in Buffalo. Out west, Oakland was thought to have its’ man in Matt Flynn but then again Seattle thought that about Flynn as well last season. Now the Raiders aren’t so sure. This week, ironically against the Seahawks, Flynn will not get the start. 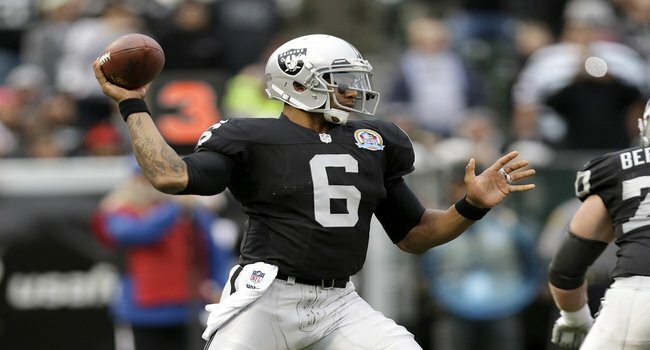 Terrell Pryor gets the nod in what the Raiders are calling more of a ‘rest’ for Matt Flynn. I’m not buying that. I think this is a major opportunity for Pryor who runs better and is more mobile which is huge considering the Raiders’ porous offensive line. Pryor won’t see many of the starters from Seattle’s defense but make no mistake that a good performance from him may garner a start in the opener. I’d be absolutely out of my mind if I didn’t mention one other quarterback situation where there is no controversy for the starting position. 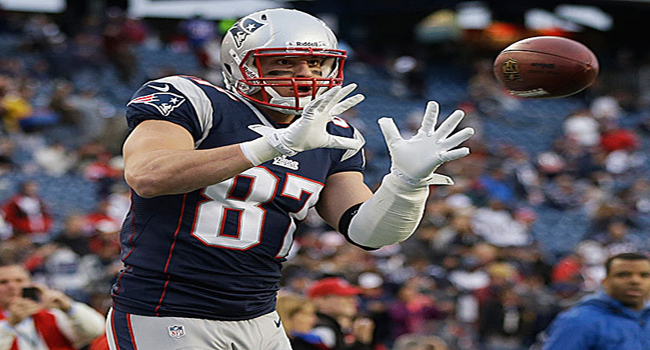 The controversy here is who will be the back-up in New England? Head Coach Bill Belichick normally keeps only two quarterbacks on the roster and while both Tim Tebow and Ryan Mallett have been equally bad this preseason, which direction will Belichick go? Tebow did not see the field in the third preseason game which isn’t totally abnormal but still factors into what Belichick might be thinking. I don’t think you’ll see Tebow cut when the first round of cuts are due by tomorrow. That doesn’t mean he will make the team however. Tom Brady will more than likely not play in the final preseason game so I expect Mallett and Tebow to get the bulk of the snaps. Even if Tebow plays well, that doesn’t guarantee a roster spot. Manuel had better play well if he thinks the Bills' offense is so easy. There are times when I sit down at the computer to crank out my daily articles for the site rarely do I find myself without anything to discuss. The National Hockey League Playoffs are in their second round series while the National Basketball Association is already into the conference finals. In case you missed it, the Bruins took a 2-0 lead over the Rangers while on the hardwood, the Spurs sent a very clear message to the Grizzlies with a blowout win in game one of the Western Conference Finals. The Pittsburgh Penguins and Ottawa Senators are scoreless through one period up in Canada as I type. There was one snippet from the weekend that caught my eye and it had to do with a league whose season is still a few months away. The National Football League is in the midst of what they call their “OTA’s” or Official Team Activities and for any organization the number one goal in these practices is to remain healthy first and foremost. What caught my eye was a statement by the first round pick of the Buffalo Bills. Quarterback E.J. Manuel said in a radio interview from the rookie symposium that “The Bills offense is easier to learn than the one I had at Florida State.” On the surface, it’s rookie making an obscure comment but there really are no such comments in the sports world today. The fact that the Bills took Manuel as high as they did already puts pressure on the organization and Manuel himself to produce soon. Toss in the fact that this class will no doubt be compared to the rookie quarterback class of last year, but the pressure to produce for long-suffering franchise will be immense. Personally I don’t think its’ fair for Manuel or any other QB to be compared to Andrew Luck, RGIII or Russell Wilson but such is the nature of today’s 24/7 NFL. Kolb may be on the bench if the Bills choose to go with Manuel. The issue I see with Manuel’s comment is that all he does by making it is open himself up to criticism should things not go so well for him. 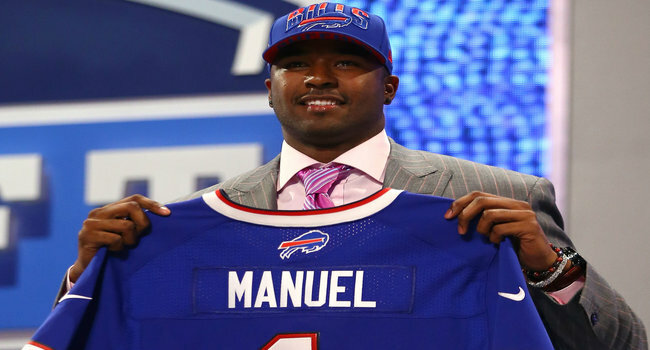 Remember, this was seen as a fairly risky pick by the QB-starved Bills because most of the top draft experts and gurus had Manuel going in the second, third or fourth round. Obviously Manuel has tremendous physical skills and is potentially a big-time quarterback, but the red flags on Manuel go almost hand-in-hand with his comments. While physically gifted, Manuel made a lot of mental errors at Florida State which resulted in poor decisions and turnovers. If Manuel has some real poor games to open the season, assuming he is the starter of course ahead of Kevin Kolb, then this comment will surely come back to haunt him. 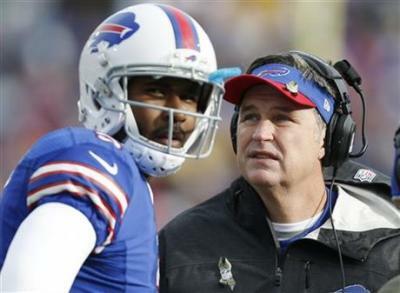 New Bills’ coach Doug Marrone will be in an interesting position with regard to his quarterback as the season nears. The Bills signed Kolb with the expectation that he would more than likely be the starter with whomever they would draft waiting in the wings. Of course many thought Marrone would draft his former Syracuse quarterback Ryan Nassib but that wasn’t the case. Kolb of course comes off a brutal stay in Arizona where he was signed to a big contract following a good showing in Philadelphia. My guess right now is that there will be a lot of pressure on Marrone to start Manuel and he will if the pre-season determines the two men to be even, but if he isn’t picking up things as well as claims to be, the Kevin Kolb era in Buffalo will be underway. San Francisco may have fallen at the final hurdle on Sunday night, but bookmakers have installed the team as joint favorites (with Denver) to win next year's Super Bowl XLVIII in New Jersey. Before the dust has even settled on the spectacle that was Super Bowl XLVII, bookmakers have released odds relating to Super Bowl XLVIII, to be played at MetLife Stadium in East Rutherford, N.J., on Feb. 2, 2014. Sunday night’s game in New Orleans proved to be something special. From the opening anthems – including a poignant performance by the Sandy Hook Elementary School Choir – through Beyonce’s love it/hate it halftime performance, from a 34-minute power outage to the confetti raining down on the champions, this was a Super Bowl that won’t be forgotten anytime soon. San Francisco and Baltimore put on one heck of a display, with the Ravens jumping out to a 28-6 lead on the first play of the second half, before San Francisco mounted another unthinkable comeback. It came down to the last seconds of the game, with the Ravens managing to hold off the Niners, ultimately going on to lift the Lombardi Trophy. But football betting is fickle, and before the Ravens can even enjoy the sweet taste of victory, bookmakers are putting a new spin on things and offering odds on next year’s super event. As it stands, Denver and San Francisco have been installed as the favorites to follow in Baltimore footsteps next season. After a long and tough season, San Francisco almost made good on 9/1 preseason odds this season. The Northern California side advanced to the Super Bowl – and came within touching distance of a win – having been eliminated at the conference championship stage last season. Odds makers believe Jim Harbaugh’s side will do even better next year, assigning the team 7/1 odds of winning Super Bowl XLVIII. The Niners will again be in search of Super Bowl victory No. 6, tying that record achieved by Pittsburgh. The Niners are not alone though. Denver has also been assigned 7/1 odds of winning it all next season. After a season that showed Peyton Manning – the eventual runner up in MVP voting – still has it and that the Broncos are stacked with talent, bookmakers like the Mile High City side to improve on this year’s conference championship appearance. A win would secure Denver’s third Super Bowl championship. Third on the bookies’ list is perennial Super Bowl favorite, New England. By the time Super Bowl XLVIII rolls around, it will have been nine years since the Patriots last hoisted the Lombardi trophy aloft, but Brady and Co. are still expected to make noise this coming season. New England is 15/2 to win next season’s Super Bowl, which puts the side marginally behind the odds (11/2) assigned to the team ahead of this past season. Another perennial favorite takes the number four spot on the NFL Futures list. Green Bay is considered 10/1 to win the championship. The Packers were not as dominant as some expected this season, but with Aaron Rodgers under center there are few that wouldn’t expect the Wisconsin side to contend at the very least. Another Packers-Niners playoff clash wouldn’t go amiss either. The top five is rounded out by a pair of sides with 12/1 odds: Baltimore and Seattle. 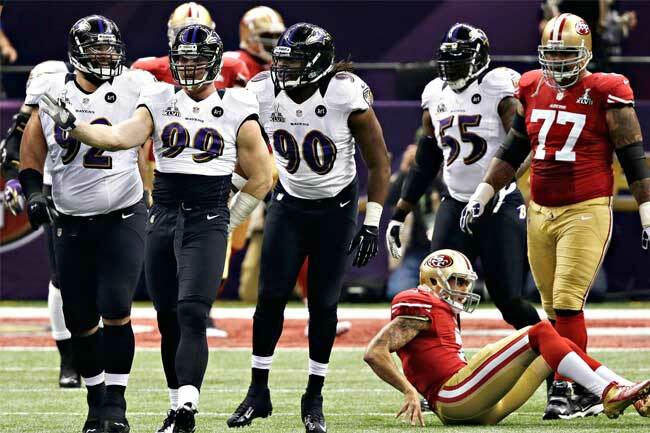 Baltimore may have won it all on Sunday night but bookmakers believe that the “Team of Destiny” used up most of its luck during the 34-31 victory over San Francisco. But then again, the bookies took a big hit thanks to Baltimore’s horrendous play ahead of the post season that saw the team 28/1 to win the Super Bowl after Week 15. There’s no way the bookies want the Ravens to win again. It’s hard to imagine Baltimore won’t get a deal done that keeps Joe Flacco under center, but without Ray Lewis – and perhaps Ed Reed (retirement?) – the side will have a few spots to bolster if it’s to make a push. Meanwhile, Seattle is a surprise entrant in the top five (which is actually a top six). Behind rookie quarterback Russell Wilson, the Seahawks were certainly one of the surprise packages this season, but most will be questioning whether Pete Carroll’s side can repeat this season’s success. Odds makers apparently believe they can. The NFL Futures’ Top 10 is rounded out by Houston (14/1), Atlanta (18/1), New Orleans (18/1), and Pittsburgh (18/1). Elsewhere on the Futures list, bookmakers expect Kansas City – this season’s worst team – to improve under the tutelage of Andy Reid. The Chiefs are considered 50/1 to win Super Bowl XLVIII, which makes them tied for 22nd place on the list. Jacksonville is expected to be the league’s worst team next season. The Jaguars have odds of 150/1 to win it all. Buffalo and Oakland are second worst on the list, with odds of 100/1. Please, a round of applause for the returning refs. The proper officials got a very healthy ovation in Baltimore Thursday night as Week 4 in the NFL kicked off. Finally, the powers that be have seen fit to reach an agreement that means those refs and umps from Division III college ball no longer get to grace the sidelines. Coaches, players, analysts and fans alike sit jubilant in the knowledge that they’ll be no more debacles like Monday night in Seattle. Fingers crossed. But just because the officials are back, you shouldn’t expect the drama to die down and order restored. The upset-friendly 2012 NFL season continues with everybody wondering who’s going to get knocked off next. With the proper referring crews back, here's hoping Bill Belichick plays nicely with others. First up on our list of potential upsets is the Patriots’ visit to upstate New York. New England (1-2, 1-1 road) lost a controversial one to Baltimore last Sunday night, with the winning Ravens field goal seemingly passing above the post. An enraged Patriots side – and in particular the ref-grabbing Bill Belichick – will be looking to break out of a two-game skid this week. Buffalo (2-1, 1-0 home) on the other hand enters the game on the back of two wins. The Bills troubles of Week 1 are forgotten for the time being at least. As you’d expect, the Patriots enter this one as favorites (-4½) but this game might not pan out how it’s supposed to. Remember, the Bills handed the Patriots their first loss last season, at Ralph Wilson Stadium. The Patriots led that game 21-0 before losing by a field goal. Perhaps more notably was Tom Brady’s four interceptions. How often does that happen? A repeat of last year would put a serious downer on an already down Pats side. Ultimately though, take New England to win this one on a dominant performance that beats the spread. Whilst their backs aren’t quite against the wall yet, this is a team with a message to send. That being said, take the under on the 51 points being offered. Green Bay will use Monday's controversial loss as motivation, while the Saints look for win number one. The Packers are seething. The controversial ‘call heard around the world’ that gave Seattle a last-second win has left a very bitter taste in the mouth. In a bid to move onwards, Green Bay (1-2, 1-1 home) hosts New Orleans (0-3, 0-1 road). Of course, the Saints are in quite the predicament themselves. This contest at Lambeau Field is a tough one to predict. It has been for the past few years, with two of the league’s top quarterbacks colliding. This year is even tougher to pick a winner because of the circumstances surrounding the game. The Saints are already at that back-against-the-wall stage. Whilst an 0-3 start doesn’t eliminate New Orleans from contention, especially behind Drew Brees’ arm, losing four straight could break the backbone. That goes double when you consider the schedule the Saints face (San Diego, Tampa Bay, Denver, Philadelphia, and Atlanta make up the next five alone). So we’re left with two teams that really want to win and probably both need to win. The Saints haven’t lost by more than a touchdown this season – they may be 0-3 but it’s a close 0-3, if there is such a thing – so take them to beat the spread. Also go over on the 53½ over/under. Why wouldn’t this one be a shootout? So who wins outright? Go with the Packers. Just. Week 4 features what should be considered a very strong card of bouts. There’s plenty of intriguing matchups, and you wouldn’t bet against a host of teams finishing the week 2-2, returning to the bizarre scenario we had after Week 2 when 20 teams had even records. Quickly, here are some of the games to keep an eye on. 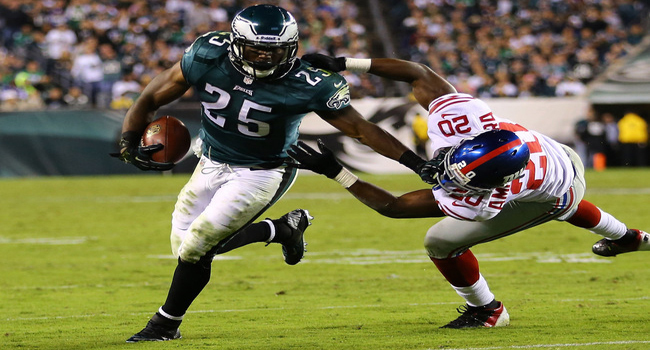 Take the Giants (2-1, 1-0 road) to defeat Philadelphia (2-1, 1-0 home) in a narrow upset. Philadelphia has had some real skin-of-the-teeth moments. The Giants will be looking to step up. Take San Francisco (2-1, 1-1 road) to beat the Jets (2-1, 1-0 home) at MetLife, making amends for last week’s loss to Minnesota while casting a few more Rockefeller-sized doubts over the Jets. The Niners’ should beat the spread (-3) also. Take Arizona (3-0, 2-0 home) to advance to 4-0 after a win over Miami (1-2, 0-1 road). The Cards were grossly underrated ahead of the season and Miami is still struggling behind Ryan Tannehill. Washington (1-2, 1-1 road) could upset Tampa Bay (1-2, 1-0 home) so that’s definitely worth a look. And believe it or not, Cincinnati (2-1, 1-1 road) needs to be on upset watch as they visit Jacksonville (1-2, 0-1 home). The Bengals have yet to stop the run this season while Maurice Jones-Drew chalked up 177 yards alone against the Colts last week. Actually, Jacksonville is really worth the bet this week. Elsewhere, expect Atlanta, Houston, Seattle and Denver to avoid upsets. Detroit could be on thin ice against Minnesota while San Diego and Kansas City will play a typically tight AFC West game.